Thursday, September 22, 2016 at 10:21 AM EDT marks the Autumnal or Fall Equinox marking the moment the Sun crosses the celestial equator – the imaginary line in the sky above the Earth’s equator – from north to south and vice versa. On Monday March 20, 2017 the sun crosses back to the North, bring the first spring day and a Monday I will look forward to! Why would I care? With electric lights and central heat it is easy to continue my daily routines. I grumble about the cold, short days but other than the occasional snow shoveling and frost scrapping, I’m not much affected. By now, I have done all that I can do for the bees. I continue to feed so that late fall brood is well fed and stores are being not being depleted. Last Sunday pollen was pouring into the hives. I can’t see nectar inside bees and since I’m feeding, I can’t tell if what is being stored is sugar from the feeders or the nectar from flowers. I suspect some of both. 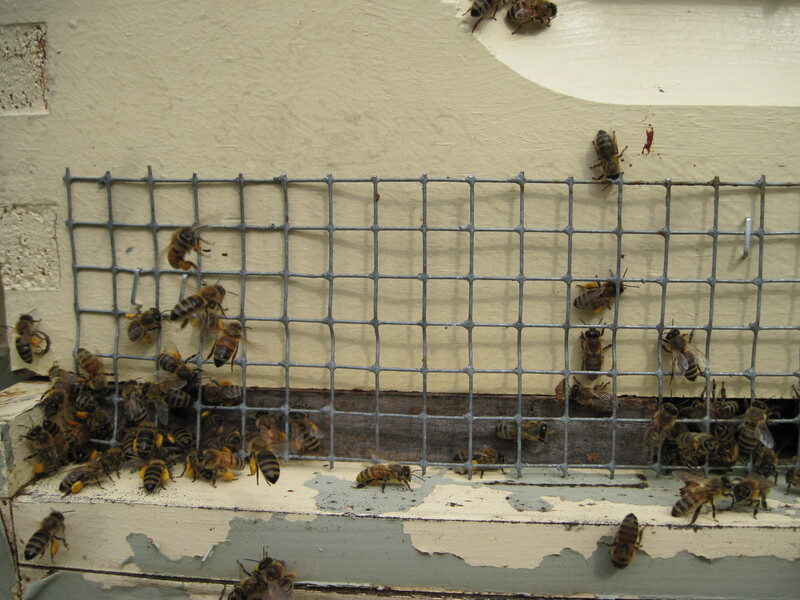 I have treated for mites, gotten the hives as queen right as I could, combined weak hives where possible, closed down the entrances and installed 1/2″ hardware cloth mouse guards. The capped honey is at the top of most hives. I plan to check in two weeks and where necessary, either rearrange the capped honey or add from my frozen reserves. My bees have their own seasonal issues to work out.With decreasing light and cooler mornings, flight time is impaced. Flowers are fading fast and the first frost is 15 to 20 days away. Drone numbers and brood area are in decline, mites are moving onto bees, pests like small hive beetle are buried into the warm cluster, egg laying has slowed. All of this activity is keyed to decreasing day length. I never cease being amazing how a few thousand insects can work all this out in fall and rebound so quickly in March. Sun light, nature’s gift to all.